Exclusively for Chelsea Clock, renowned furniture makers Thos. 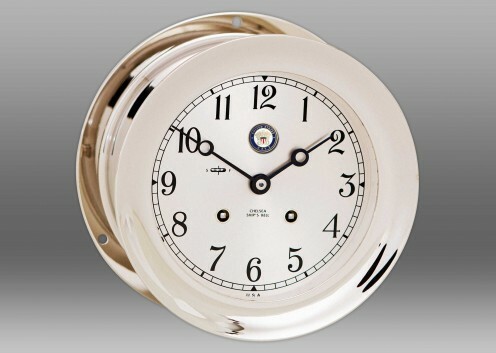 Moser crafted a distinctive base for our venerable Ship’s Bell Collection. The base is hand carved from solid cherry and hand rubbed to a pristine finish. 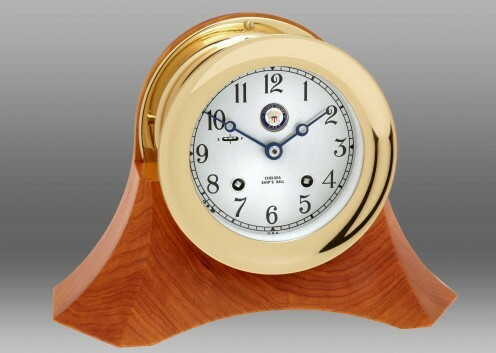 Elegant, modern and graceful lines accentuate the natural beauty of the wood, and serve as the perfect minimalist companion for the Ship’s Bell Clock. A custom engraved solid brass plaque marks its authenticity. 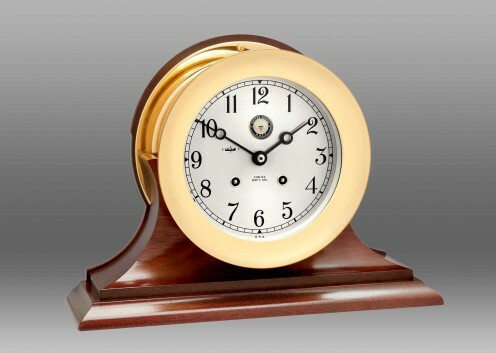 The Ship’s Bell Clock on a Thos. 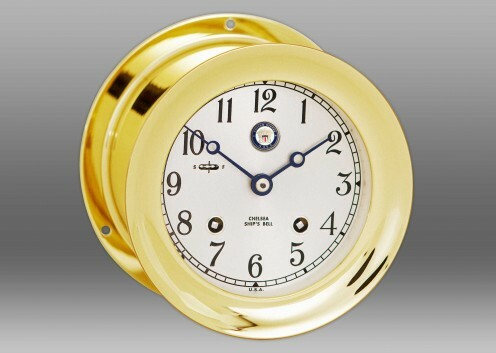 Moser base is available in 4 1/2 inch, 6 inch and 8 1/2 inch dial sizes, click change product options above to view all Ship’s Bell Clock with Thos Moser base product options.